Yesterday I caught a programme on TV called ‘Nature’s Microworlds’. The programme was looking at the Amazon ecosystem and how plants and animals have developed intricate systems of interdependence, enabling them to continue to grow and reproduce in the tough, nutrient low climate. I found it fascinating. 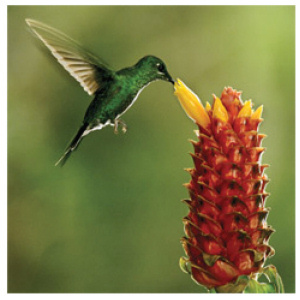 Species of flowers grow in certain shapes so that only specific species of humming birds with the matching beak shape can feed on their nectar and help them to pollinate. Both the birds and the flowers have evolved so that each helps sustain the other. Other plants grow high up in the trees to maximise the light they receive, and they have their own ponds of water which not only sustains the plant itself but also families of tree frogs. There were countless other examples of nature’s resilience. It would be a little too easy, and perhaps clicheed, to draw from this a metaphor about human life – about the importance of both persistance and interdependence in the face of struggle and hardship – but I seem to have just done it, so I’ll let this sentence stand as it is and let readers make of it what you will!